Whales and dolphins belong in the seas and oceans with their families and friends! With your help we're hoping to see an end to all dolphin captivity in Europe. 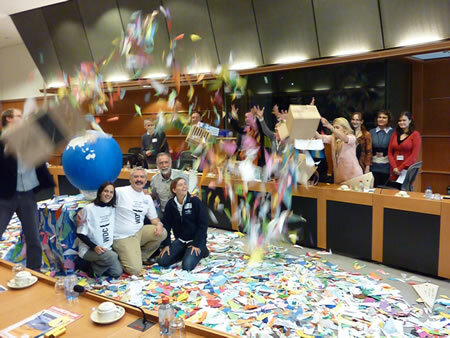 In October 2012 we presented European politians in Brussels with over 30,000 origami whales and dolphins made by children who want dolphins to be wild and free! We want to continue our campaign by collecting even more paper whales and dolphins to take to countries that still hold dolphins in tanks and pools. PLEASE ADD YOUR WHALE OR DOLPHIN TO THOUSANDS OF OTHERS. And why not ask your friends to do the same?